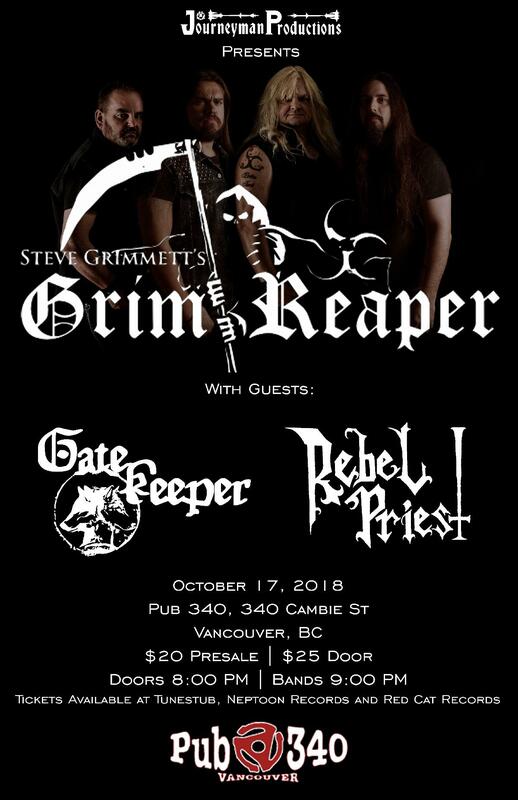 Gatekeeper: Jeff Black formed Gatekeeper in the dismal haze of 2010 as a spitting retort to everything happening on a musical level in the frost-kissed prairies of Alberta. In a land dominated by blast beats, scooped mids and vocalists who couldn't find a melody in a shopping bag, Gatekeeper stands upright and unchained, continuing the legacy laid down by such luminaries as Robert E. Howard, Bathory, Frank Frazetta, Manowar, Candlemass and Manilla Road. If your interests lie in the direction of things ancient, lost and far away, Gatekeeper might be for you. If not? Good riddance.